[New for Fall 2013] Look, we all have "one of those days". The kind of late in the week, stumble out of bed, poke yourself in the eyeball with bills as you go to the mailbox, just worn out kind of days where you wind up eating junk food all day long. As you get older, it's probably best to have less of these days, and thankfully it's been a good while since I had one myself. 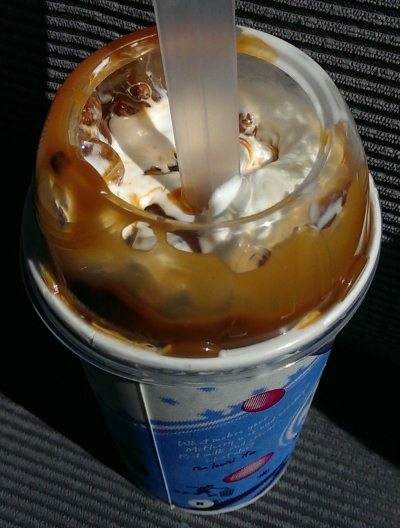 Let's see, I had an ice cream sandwich for breakfast, cookies, peanuts, and cheese puffs for snack, and now a McFlurry for lunch, but don't worry, I'll eat a healthy dinner (yeah, that's the ticket). Am I the only one who gets the impression that this one isn't blended too well? 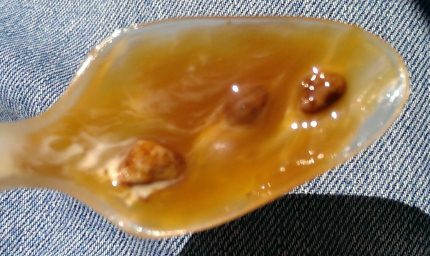 I don't like spoon shots, but these buggers did not want to come off. Now if only that rich taste lasted the whole way through. Sure I tried to blend it before digging in, but the flavor burst in the beginning just wasn't meant to be for the whole treat. The flavors ran out long before I hit the bottom. In retrospect, maybe I should have grabbed like a 3 piece mighty wings and then chased that with a snack size P&C McFlurry instead with the hopes that it would have been blended a little better. Overall I still liked it, it was worth the $2.77 to try something new. 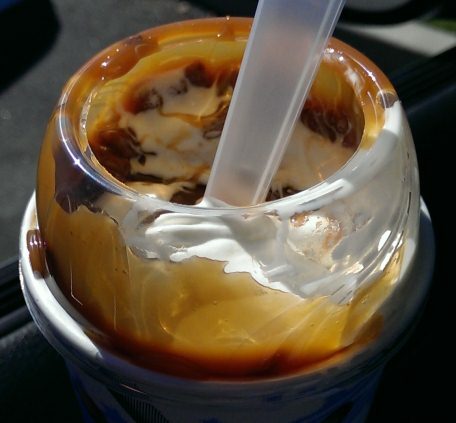 That said, it's a typical fast food treat where quality control is an issue. McD's just isn't the place you go for fake blizzards. Sure, it will do in a pinch, and I'm glad to see them finally change things up a bit, but they risk losing repeat customers if they can't deliver a balanced experience.